Situated in the heart of Sydney’s CBD, the iconic Grace Hotel is famous amongst Sydney-siders for its elegantly restored 1920s Neo-Gothic Grace building, originally built by the Grace Brothers. Heritage listed, the hotel seamlessly merges the historic building with the modern conveniences and comforts expected by today’s traveller. Discover the city of Sydney from its heart at The Grace Hotel and be steps away from Darling Harbour and King Street Wharf, plus the best shopping, theatres and entertainment on offer. Standing beautifully restored today, the heritage listed Grace Hotel offers warm, personalised service and a unique blend of Art Deco charm and contemporary elegance. The Grace boasts 382 spacious, luxurious and relaxing accommodation rooms, as well as 14 different meeting spaces, catering for events from 12 and up to 480 people. Furthermore, the hotel’s recreation centre offers a heated lap pool, gym, steam and sauna rooms to help guests relax during their stay. The Superior King Room is spacious offering a king-sized bed or two king-single beds in the Superior Twin Room. 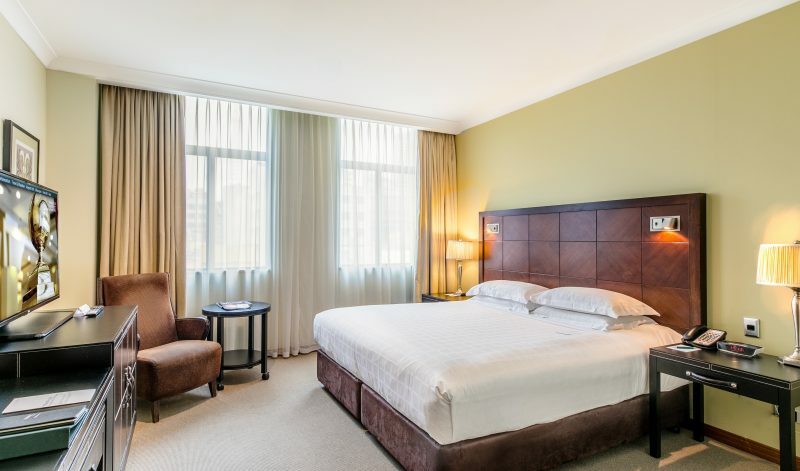 The Superior Room is the perfect place to rest after exploring the city or after a day full of meetings. Stay in their Deluxe Room, featuring a comfortable king-sized bed or two king-singles, in a room large enough to even add an additional bed for a third guest. 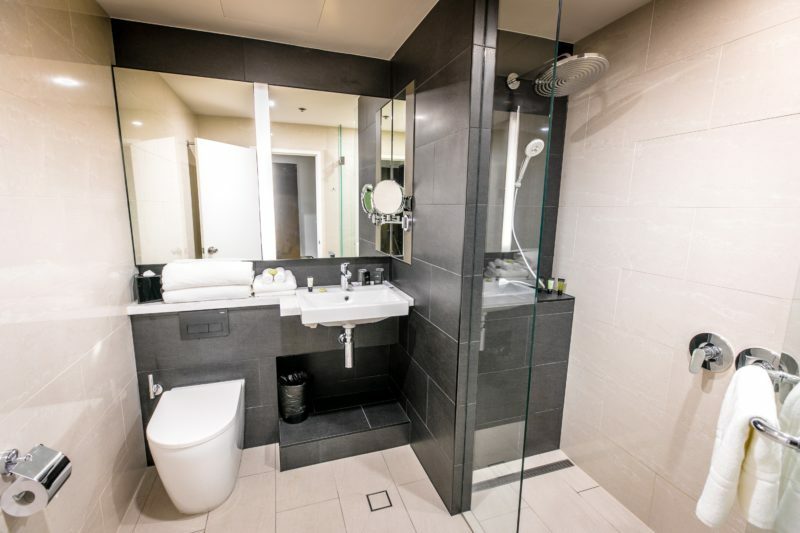 The Deluxe Room will allow you to relax as you travel together or upon your next getaway. 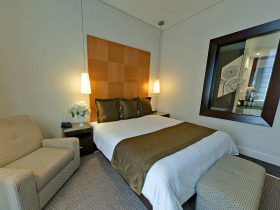 The Premium King Room at The Grace boasts a luxurious room with a comfortable king-sized bed. 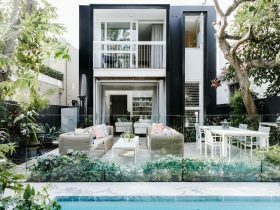 It will provide you the greatest space to unwind yourself and make you feel just like home. The Grace’s Premium Family King Room is the perfect option for your family retreat. It features a large king-sized bed and two single beds in a room for the whole family to rest and spend time together. 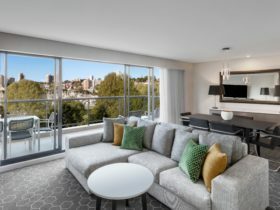 The Premium Corner King Room is uniquely positioned in-line with the iconic Grace Turret, showcasing a fabulous view of Sydney’s streetscape. 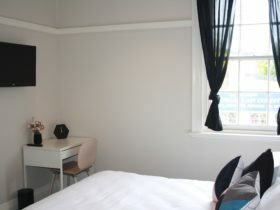 The corner room offers extra windows allowing the room to be filled with a great amount of natural sunlight. It also provides a spacious bathtub and a separate shower for you to unwind and relax in private. 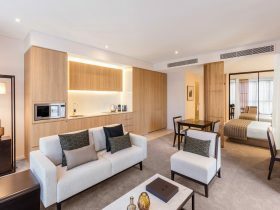 Here at The Grace Hotel Sydney, their 10Rooms Junior Suites are an exclusive offering when it comes to hotel accommodation in this vibrant city. Each individual suite is unique with modern interior designs, luxurious bathrooms, as well as your very own espresso machine. Experience the stylish and sophisticated suites at your pleasure with breakfast included. 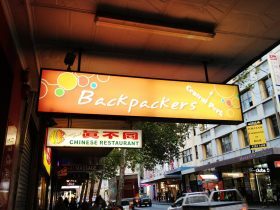 Extra AUD20 for Breakfast per person.